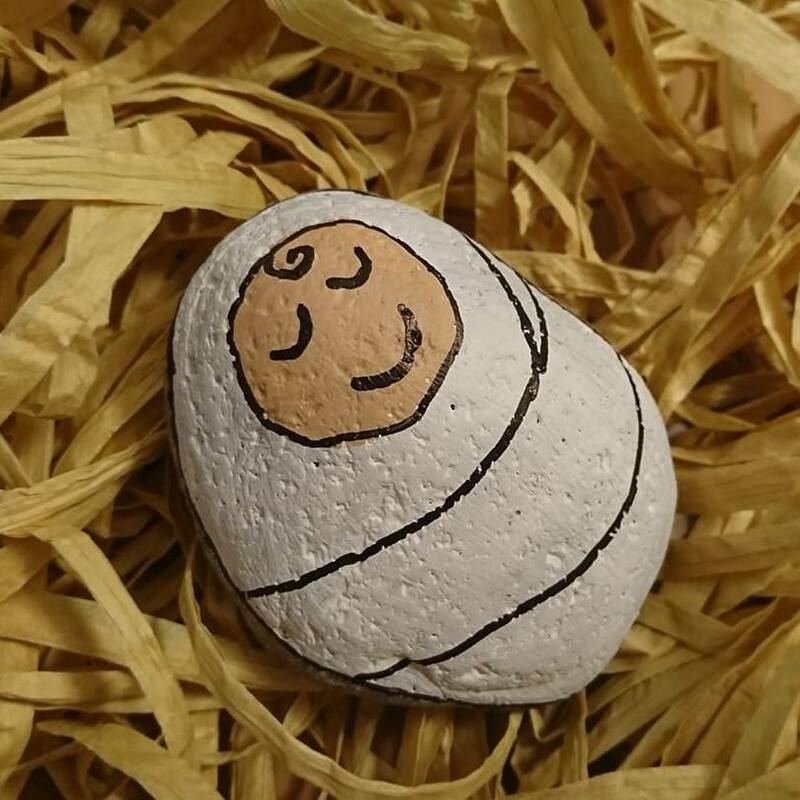 Families who attended this year’s Breakfast in Bethlehem event decorated pebbles to look like baby Jesus, which will be left around the village and surrounding areas for people to discover. On the back of each rock is written #babyJesusrocks. People can then follow the discovery of each baby-shaped pebble on our Facebook group. It’s a festive take on the phenomena Lymm Rocks that has captured the imagination of our local community. Finding Jesus is what we hope everyone will do over the Christmas time. With #babyJesusrocks people will literally discover the true meaning of Christmas! Upload it onto our Facebook group babyjesusrockslbc2018. Once you’ve done that please take it home for Christmas with our love! Bring it along to our Christmas Nativity service on Sunday 16th December at 10.30am to get your chocolate! Keep your babyJesusrock to remind you of the true meaning of Christmas!